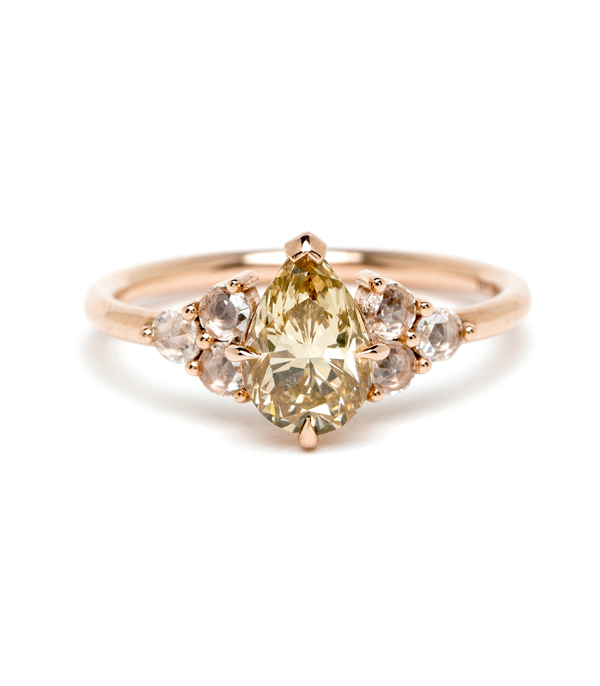 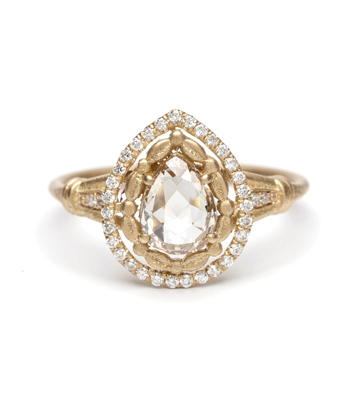 The Julia harmoniously blends a variety of diamond shapes, cuts and colors to create a one-of-a-kind engagement ring as unique as she is beautiful. 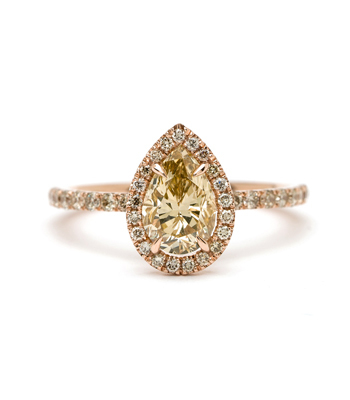 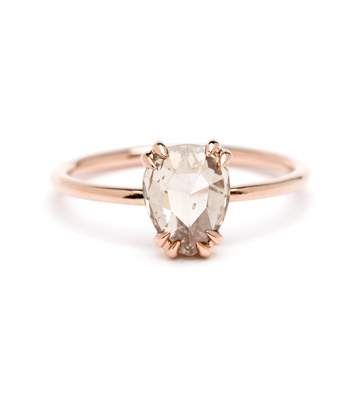 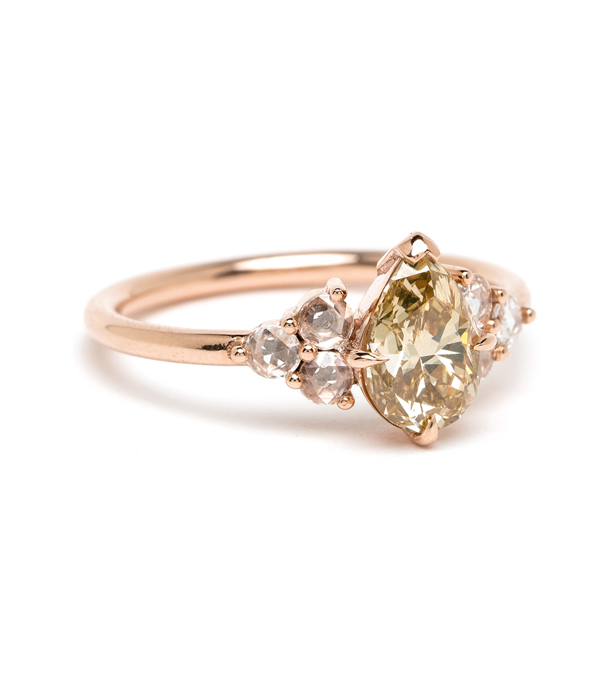 One warm, caramel-hued Pear Shape diamond is framed on each side with a cluster of colorless rose cut diamonds, which due to the 14K rose gold setting, take on a pink-colored glow. 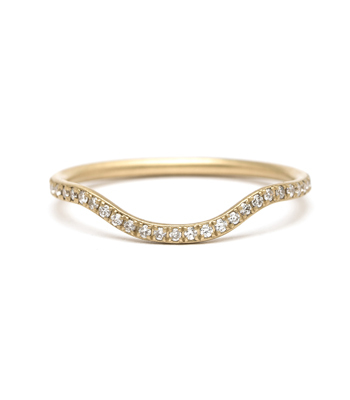 While diamonds wrap across the top half of this ring, the different diamond cuts reflect light with varying intensity creating a mosaic of sparkle that shines with character. 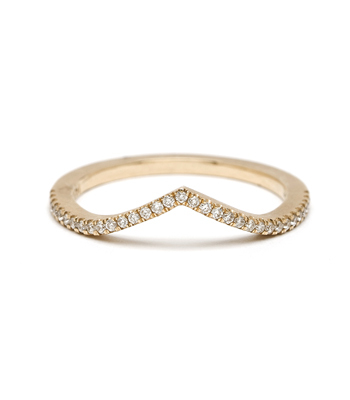 This unique ring would make a perfect match for a romantic bride who seeks a stylish ring, full of unparalleled charm. 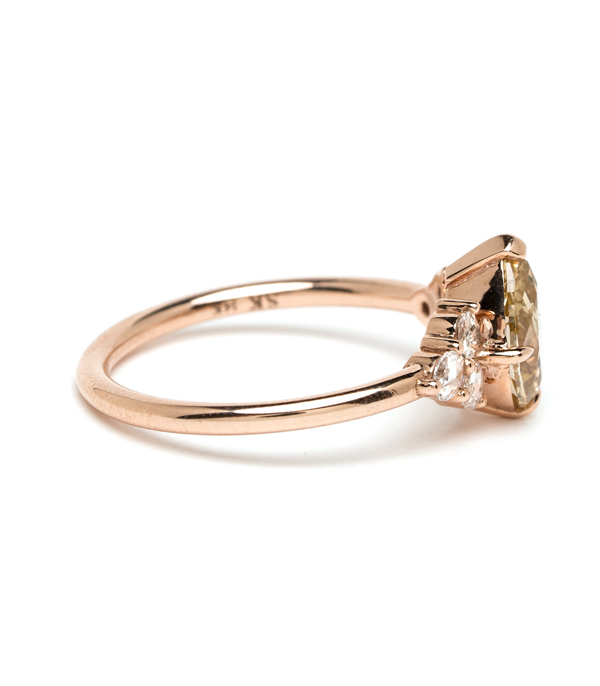 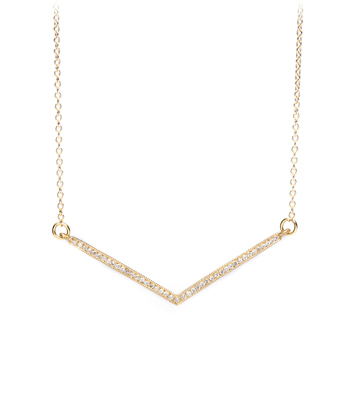 Crafted in 14K shiny rose gold by our artisan jewelers in Los Angeles.